Geologists in the Philippines warn of further landslides in the wake of Tropical Storm Nock-Ten. According to the country's National Disaster Risk Reduction and Management Council (NDRRMC), at least 31 people are now confirmed dead and more than 600,000 have been affected by the tropical storm, with at least nine landslides reported. "We are anticipating more landslides. The ground soil is saturated because of the continuous rains," Arlene Dayao, a geologist for the country's Mining and Geosciences Bureau (MGB), who supervises the Bicol region in south Luzon, told IRIN on 28 July. 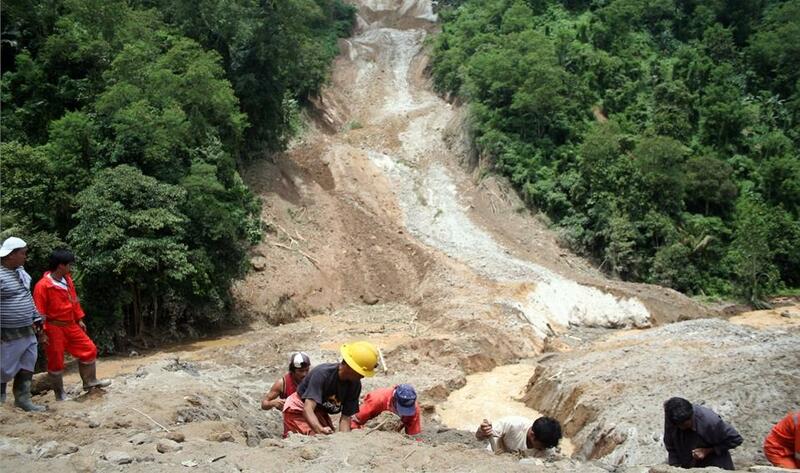 Fay Apil, MGB's chief geologist in the Cordillera region of north Luzon, added: "There is cause for alarm, especially here in the Cordillera, because we are landslide-prone."